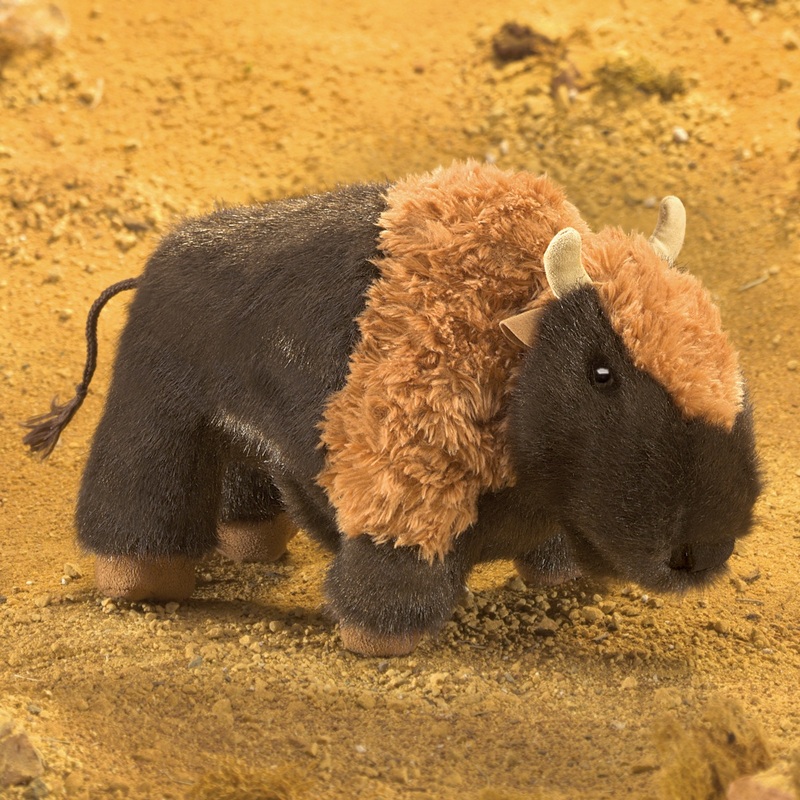 The Folkmanis small Bison puppet was released in December 2017. 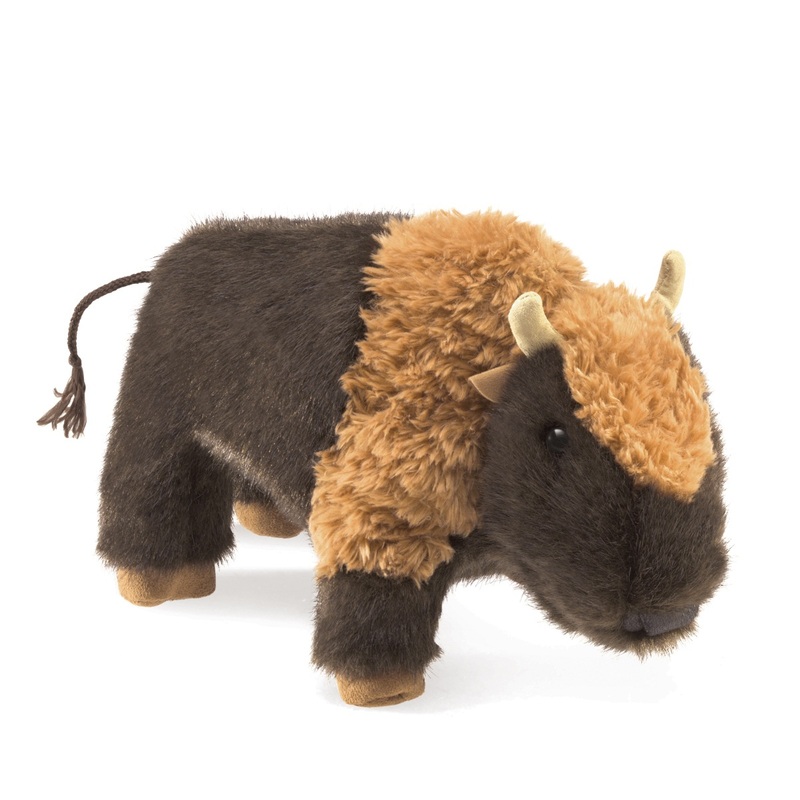 The new bison puppet has movable forelegs and mouth. It is 10 inches long, 4 inches wide and 6 inches tall (25.4 x 10.2 x 15.2 cm). 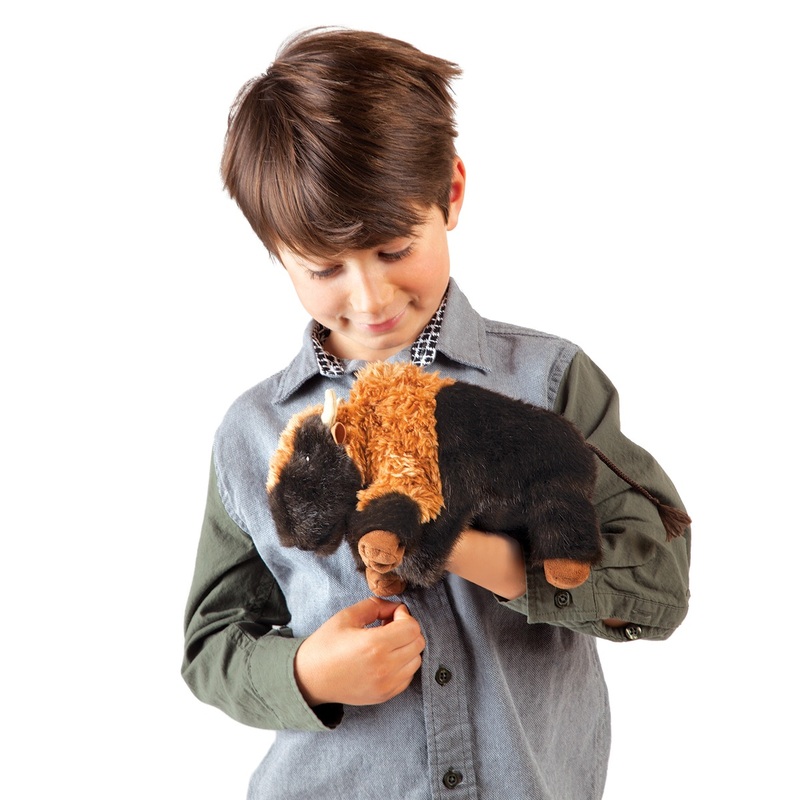 A: You put you hand under the bison to put a finger into the head and lower jaw as well as a finger in the two front legs. This works best with a smaller hand. It is a little snug from my medium sized hand but I can move the legs and the lower jaw.